When Chevrolet owners are looking for auto repair, they make Midwest Autoworx their number one choice. At our auto repair shop, our auto mechanics work their hardest to ensure you leave our facilities satisfied and safe. Clients in Boonville and Columbia have taken notice of the excellent of both our auto repair and customer service. It’s important to be mindful of when your Chevrolet needs auto repair. The talented auto mechanics at Midwest Autoworx have been providing quality auto repair since we opened the doors to our facilities. While you wait for your Chevrolet to be inspected and serviced, we welcome you to relax in our comfortable waiting area, use the free wifi, and enjoy a delicious cup of gourmet coffee. If auto repairs take a little longer, we’re happy to provide a shuttle and loaner car. “The staff was incredibly nice. In my experience with auto shops, I've been talked down to, and have had many awful experiences. These guys were so polite, accommodating, understanding, joked around with me, and fixed the issue with my car in very little time. I trust them, and if needed, I'll return.” -- Jess B. 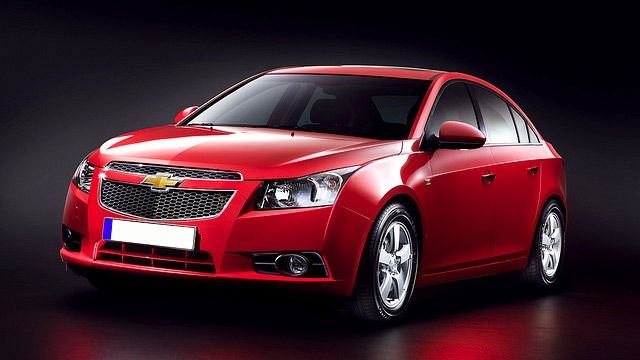 For Chevrolet services, call Midwest Autoworx or schedule an appointment online. We’re located at 2001 Rangeline Street in Columbia, MO 65202 and 1300 W. Ashley Road in Boonville, MO 65233. Our professional and qualified auto mechanics will provide you with the most quality Chevrolet auto repair in the region. We look forward to your visit!